Many estate planning professionals recommend powers of attorney as worthwhile tools to keep the details of your life running smoothly in the event of an emergency. You can use a power of attorney to authorize an agent -- often a loved one or another trusted individual -- to make decisions regarding your medical care or to deal with the financial details of your life should you become incapacitated. A durable power of attorney grants your agent immediate authority to handle your personal affairs, such as contracting for debt in your name, as well as authority after your incapacitation. If you decide that you’ve entrusted the wrong individual with these important powers, releasing your power of attorney is a simple matter of revoking it. 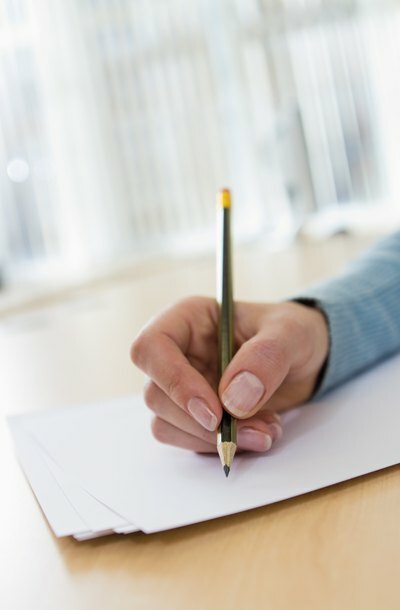 Write a formal letter to your agent, informing him that you’re revoking your power of attorney. State in the letter that you require him to return the POA to you, as well as any of your financial records he might have in his possession. Forward the letter by certified mail, return receipt requested, so you have a record that he received it. Mail copies simultaneously to all banks, financial institutions, and other business entities you authorized your agent to deal with on your behalf. You might also consider hand-delivering them, and having the institutions sign acknowledgments of receipt. Speak with your agent to advise him of the change. Although it’s not legally required that you meet with him face-to-face in addition to mailing him notice, if you still value your relationship with this individual, you might want to give him the courtesy of telling him in person, before he receives notice out of the blue with a written letter. Write a revocation. Making your intentions clear is usually more important than the actual format. State your name, the name of your agent, and the date you granted him power of attorney. State that you’re of sound mind. Include explicit language that you’re revoking your POA and that you do not intend that your agent should have any legal authority to act on your behalf after the date of your revocation. Not all states require that you have your revocation witnessed and notarized, but it won’t invalidate it if you do, and this gives you an added layer of protection that the document will be honored. Distribute your written revocation to your agent and to all business entities you authorized him to deal with. You can do this the same way you dealt with your initial letter that indicated your intention to revoke the POA, sending it by certified mail or hand-delivering copies. Some banks and lending institutions have additional rules for revocations, so when you deliver your document, speak with a bank officer or other representative to find out if you need to do anything more. Create a new power of attorney. Unless you want to change the terms of your previous POA as well as the person you’re naming as agent, you can simply copy from your old one, replacing your old agent's name and identifying information with the name and information of your new agent. However, you should state again in your new POA that you’re revoking the old one. Attach an additional copy of your revocation to your new POA and distribute the document to all entities you're empowering your new agent to deal with. Although legal supply stores and websites offer power-of-attorney forms, a generic form might not suit your personal needs. A power of attorney can be almost anything you want it to be, so there’s no need to limit yourself to purchased, prewritten forms. You can write your own if you follow some basic guidelines. You might benefit from having an attorney review it after you’ve completed it, however, to make sure it adequately covers you under the law. A power of attorney allows one person to act on behalf of another person in various matters, including health or finances. You may give another person, known as your agent or attorney-in-fact, power of attorney as long as you're mentally competent. You must draft a power of attorney document that meets the legal requirements in your state in order to give your agent authority.